The pointers of a clock or watch are called “hands”: the second hand, the minute hand and the hour hand. Note that there is no final “s” to “second, minute, hour”. In French, hands turn into needles → les aiguilles d’une montre ou d’une horloge. L’aiguille des secondes, des minutes et des heures. The French do not talk about “short hand” or a “long hand”. They say la grande aiguille and la petite aiguille. Chez, as in chez moi, or chez le docteur is one of my favorite expressions because of its link to another way of life – villages booming with small businesses where everyone knows everyone’s name. Use chez moi, chez toi, chez lui, chez elle, chez nous, chez vous, chez eux to talk about someone’s home, someone’s place. Chez moi → at my place, at my house, at home. → Je suis chez moi. I’m at home. Allons chez les voisins. → Let’s go to our neighbor’s. Let’s go see our neighbors. As-tu souper chez les Smith? → Did you dine at the Smith’s? Chez le docteur, chez le coiffeur, chez le dentiste → Il est allé chez le docteur hier. He went to the doctor’s yesterday. → Quand vas-tu chez le coiffeur? When are you going to the hairdresser’s? Notice that many of these professions were run from home, or from an office attached to the home, by one or more well-known individuals (town baker, vet, doctor, lawyers, etc.). Similarly, in English, we use « ‘s », such as at the doctor’s, at the lawyer’s, at the baker’s, meaning the shop or cabinet, or practice of the person we are going to see. Je vais chez le docteur → Je vais au centre médical. We do not use chez as le centre médical is a place and not connected to one person or small team. Likewise, Je vais chez le boulanger → Je vais à la boulangerie. I’m off to the baker’s → I’m off to the bakery. Chez eux, on mange du poisson tous les jours. Depending on the context, the “eux” could be neighbors, a culture or a country. Il travaille loin de chez lui means “He works far from home”, home being his residence or his home country. Il travaille près de chez lui clearly means “close to home”. You may have come across “On ne fait pas ça chez nous“. This means “We don’t do this here” (in my family, in my culture or in my country…). Au fil des années, je me suis fais mon petit chez-moi. Over the years, I’ve made my own cozy little place (studio, apartment, house…). Note the hyphen used to transform chez-moi into a noun: mon chez-moi, ton chez-toi. Chez lui, la générosité prime. He is of a generous nature. Generosity is most important to him. Chez now refers to someone’s character or values. Le mensonge ne passe pas chez moi could be translated as “I do not accept lies”. Pronunciation: The final “z” is silent but voiced in certain liaisons, for example: chez eux, chez elle (voice the “z”). Last note….you may hear the pattern, chez + an animal/animals: chez le loup, chez les chiens…Les maladies les plus fréquentes chez le chat sont…This refers to frequent illness common to cats. The French proposer and the English to propose can be quite similar. To put forward a plan or proposal: The committee proposed a new agreement. → Le comité a proposé un nouvel accord. We proposed Ms Smith as Chair / Chairperson / Chairwoman. → Nous avons proposé Mme Smith en tant que Présidente. Je lui ai proposé d’aller boire un café. → I asked him out for coffee. If we want to be more articulate, we might say, I invited him for a coffee. / I suggested we meet over/for a coffee. I asked my in-laws to dinner. He’d like to ask her out, but she is elusive and he never manages to catch her. 80? Did you say 80? Swiss-French, or the French spoken in Switzerland has its own regional flavor. The most obvious one will be counting from 70 to 99. I actually wrote this post as a reaction to reading that French-speaking Swiss say octante for 80. I had never heard of it. This wonderful page here will tell you about octante et huitante. Browse through the menus to discover a milliasse (!). Awful exceptions include: au moins quatre-vingts ans (at least 80 years old) because 80 is not followed by a number (ex., 83), and this isn’t a list, it refers to an age/time period; quatre-vingt millions because millions isn’t a cardinal number, it is a noun…les années quatre-vingt, because a decade is a ranking of years. Sounds confusing? I agree, especially with million vs quatre-vingts grammes (see this exercise). In doubt, write 80, or with 20, une vingtaine (about twenty). 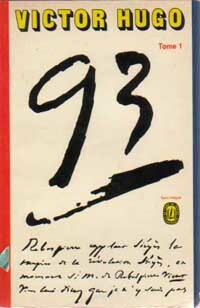 I personally have found one situation where I prefer French-French numbers, and that is for “93”, a wonderful novel by Victor Hugo on the French Revolution. The title sounds great as Quatre-vingt treize and rather weak as nonante-trois.